Catherine W. LeBlanc is a Business and Education Consultant who works with businesses, universities and other organizations in the areas of leadership development and diversity. 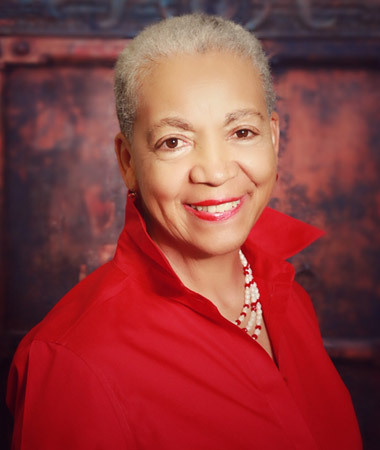 A Lifetime member of the National Black MBA Association, Catherine co-created the organization’s Leadership Institute and has consulted on the design and implementation of leadership and career development activities for its members and its 10,000 plus participants at its national conference. She co-authored the history of the organization: “The National Black MBA Association, Celebrating a Legacy, Empowering the Future.” Catherine coaches individuals in the areas of career strategy and personal and professional effectiveness. Catherine’s multifaceted career includes work in the private, public, and nonprofit sectors. After fifteen years in the private sector at General Electric Company and Scientific Atlanta, she transferred her experience, skills and talent to the public and nonprofit sectors. She served at the national level in both terms of the Clinton Administration where she began her tenure in White House Personnel and assisted in the political appointment process. She subsequently worked for the Secretary of Education as Executive Director of the White House Initiative on Historically Black Colleges and Universities (HBCUs), where she led government efforts to increase federal and private dollars to these colleges. In the nonprofit sector, Catherine held senior administrative positions with the Clark Atlanta University School of Business and the Atlanta Public Schools. Catherine received her MBA from the Harvard Business School and her undergraduate degree from Duke University. She has Honorary Doctorate degrees from several HBCUs, including Tennessee’s Lane College; North Carolina’s Fayetteville State University and Bennett College; Georgia’s Ft. Valley State University; and Mississippi’s Toogaloo College. The recipient of many awards for her professional and civic achievements, she has been honored by Federal Agencies, the Harvard Business School African American Alumni Association, the National Black MBA Association®, and many other organizations.